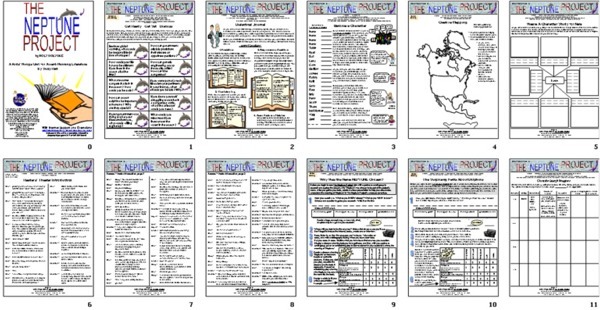 You can purchase the 54-page literature guide PLUS a 53-slide interactive Jeopardy-type game for The Neptune Project by Polly Holyoke for immediate download! Only $19.95! It is well into the future. Global drought has reduced food production to dangerously low levels, and an overreaching government equipped with deadly weapons cruelly manipulates the surviving population. Smugglers control available resources and their prices, but everyone knows that it is the greedy government officials who patronize the smuggling operations. Although the fisherpeople on the coastlines live off of the sea, they are now being ordered to move inland to aid in crop production for the country. In the midst of these problems, Nere is concerned with her worsening shortness of breath and weak eyes. She is only comfortable when she is swimming with the dolphins. Hearing that she will have to move inland is devastating to her. How can she survive there? She lost her father two years earlier in a storm at sea, and her older brother who was having trouble in school, disappeared after that. Now her mother, a research scientist is beginning to act strange. Finally, the time has come. Her mother explains to Nere that before her birth, she and other children were genetically engineered to be able to breathe underwater in order that they might survive in the ocean. Frantic, Nere rebels and peppers her mother with questions. What does that mean? How can she possibly breathe under water? How will she be able to communicate underwater? What will keep her warm? What will she eat? Will her mother come, too? Before she can even ask her questions, receive answers, or understand what is happening, government agents begin to comb their town to forcefully move the population. Nere's mother gives her, another girl, and a young boy quick injections that begin their final, painful transformations. Then, they join other kids of The Neptune Project, kids whose parents have chosen hope of life in the ocean rather than certain death inland. The Neptune kids must to join together and travel over a thousand miles to a safe haven with only dolphins, their own gifts, and each other for support and protection. On the way they will encounter horrifying sea creatures, evil govenment agents intent on catching or killing them, and a vast array of other situations that threaten their survival. You will need to hold on to your seahorses in this unique, action-packed undersea adventure that finds the Neptune kids drawn into brutal battles, life-threatening encounters, and courageous escapes. In The Neptune Project, you will find yourself submerged in a breathtaking underwater world with beauty and horror in equal portions. You will experience the Neptune kids' problem solving, their growing cooperation, and their recognitions of their emerging abilities that are necessary for their survival. Related themes of genetic engineering, oceanic animal and plant life, environmental themes, ecology, ocean health, social problems, and career-related studies present unique opportunities for research growing out of this overpowering dystopian science fiction adventure. The Neptune Project could provide the hub of an exciting, productive year of study. 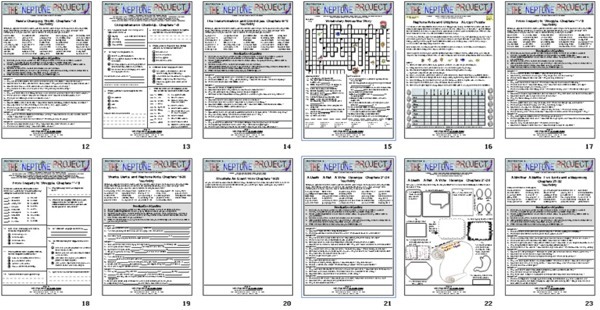 The Kids Wings literature guide PLUS interactive Jeopardy-type game, perfect for lesson plans, handouts, or projection on your SmartBoard for The Neptune Project by Polly Holyoke is now available! The Neptune Project is included in the Kids Wings Trials and Courage Collection of literature guides for award-winning novels and intermediate-level picture books all on one convenient CD. 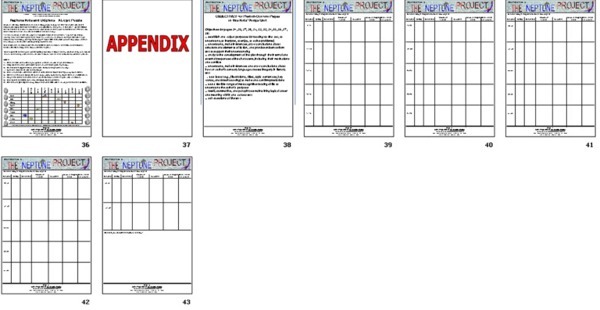 Included are 848 pages of activities in 22 titles PLUS 18 "Jeopardy-type" games! 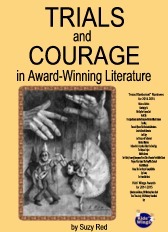 You can purchase a literature guide individually for around $19.95, but if you order Trials and Courage Collection, you can get 29 literature guides for only $25, or less than $1 each! This is probably the greatest bargain in the USA, as long as quantities last! Buy The Neptune Project by Polly Holyoke NOW! Disclaimer: Texas Bluebonnet AwardSM is a service mark of the Texas Library Association, which is in no way affiliated with Kids' Wings or Suzy Red. 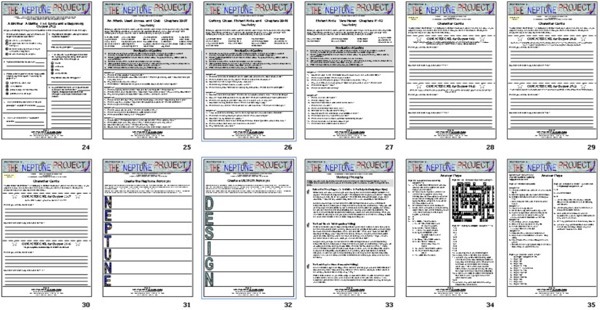 Use of the Texas Bluebonnet Award mark in these materials does not imply any endorsement of any kind on behalf of the Texas Library Association. The Texas BluebonnetSM Book Master List was selected by the Texas BluebonnetSM Award Committee of the Texas Library Association.